Now there is one we will support! This week (6-12 June) is Negroni Week, presented by Imbibe Magazine and Campari. Negroni Week launched in 2013 as a celebration of one of the world’s great cocktails and an effort to raise money for charitable causes around the world. From 2013 to 2014, Negroni Week grew from more than 100 participating venues to more than 1,200 participating venues around the world and more than $120,000 raised for charities. 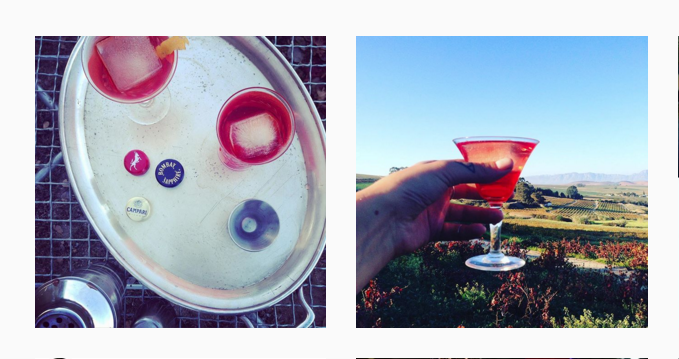 Here in the Cape winelands we are celebrating in our own way by mixing Caperitif Negronis with all the various (mostly local) gins we have on the farm. Check out the website to see if you are somewhere near a participating bar or venue or just mix yourself one of these cool cocktails. Yesterday we started the week with a Caperitif, Campari and Bombay Sapphire Negroni, easy as one, two, three! Serve with a block of ice and garnish with a little orange peel. follow us on Instagram for daily variations.